It’s considered a hard and true fact in the food world that baking is a precise discipline and that cooking–sauteing, roasting, salad-making–is looser, freer, more of a vehicle for personal expression. Why does that always have to be the case? Isn’t it possible that, if you know a thing or two in the kitchen, you can whip up a batch of cookies with as much freedom and joie-de-vivre as you might employ while making am omelet? 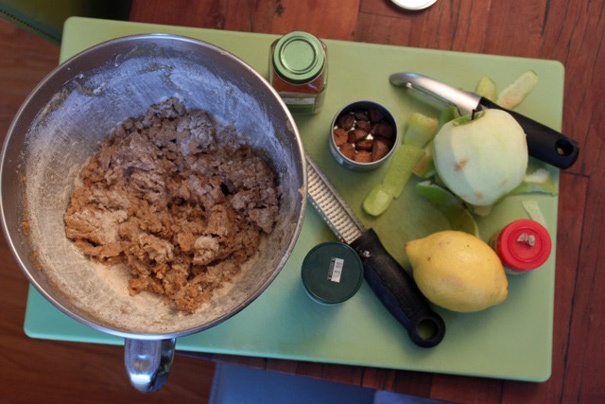 I decided to challenge the status quo yesterday by making a batch of cookies without following a recipe. My thought process went something like this: I make Martha Stewart’s chocolate chip cookies all the time. I make lots of other cookies too. 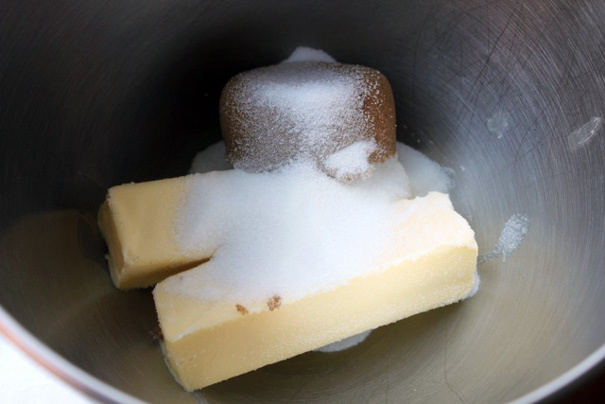 The basic formula goes something like this: butter is creamed with sugar (brown, white or a combination). Eggs are added. 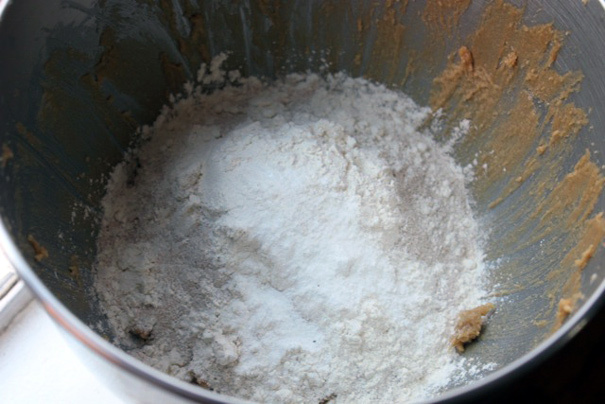 Dry ingredients (flour, baking soda, baking powder, salt) are added and then the cookie fillings–chocolate chips, walnuts, dried cranberries, etc.–are mixed in quickly so you don’t overdevelop the gluten. I mixed that in just until incorporated and then I scratched my chin and thought about flavor possibilities. I saw an apple. I saw a lemon. 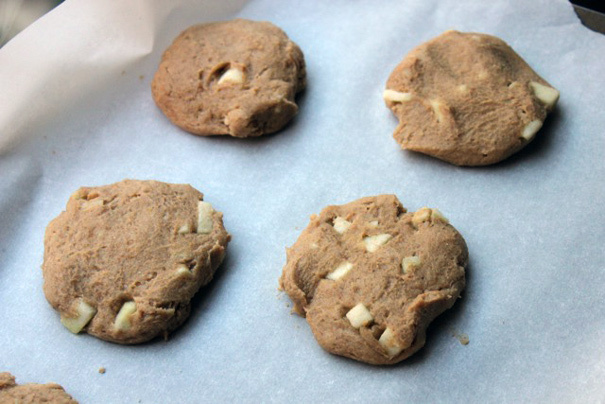 I thought “APPLE PIE COOKIES” and brought some cinnamon, nutmeg and cloves to the party. I grated in about 1/2 a teaspoon of fresh nutmeg, added a spoonful of cinnamon (about 1 teaspoon) and a tiny pinch of cloves. 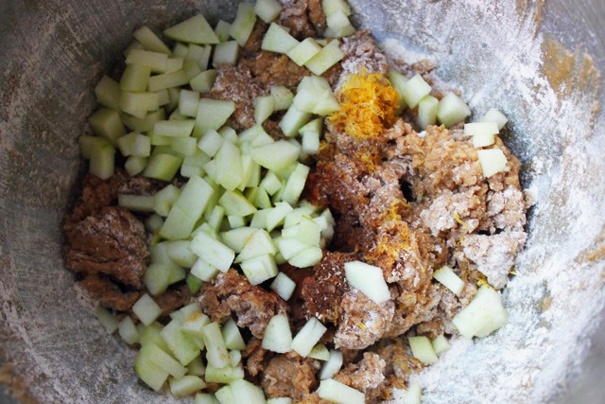 I added the zest from the lemon and about half of the apple peeled and chopped into cubes. 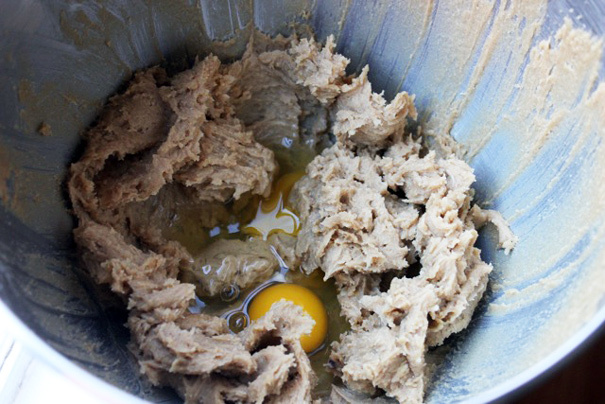 Now when I mixed those in I tasted some of the cookie batter and realized that it was too buttery and not enough like a cookie dough. So I added another half cup of flour, blitzed that in and tasted again. Perfection. Keep in mind: I made these without a recipe. I didn’t even consult a regular cookie recipe to riff on it. 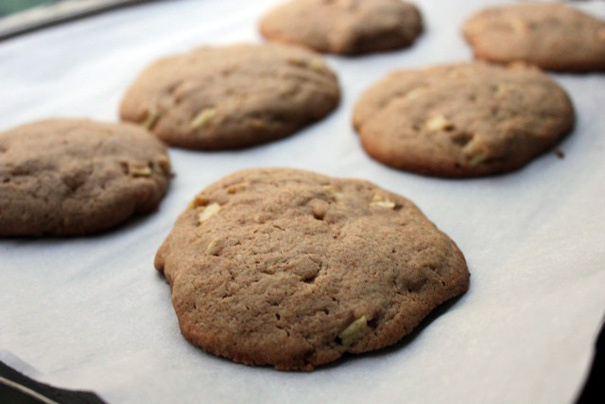 I just felt my way through the process based on my Martha Stewart cookie memories and these cookies–while not by any means perfect–were totally tasty. Because I used so much baking powder (next time, I’d use 1/2 a teaspoon instead of 1 teaspoon) they were more cake-like than cookie-like. I didn’t mind that. More importantly, because I made these cookies without a recipe, I’ll know intuitively next time how to change it up. I’ll continue to experiment–maybe I’ll try an egg and an egg yolk instead of two eggs (like Martha does), maybe I’ll add baking soda AND baking powder, maybe I’ll do all white flour next time. The point is, I got so much more out of this experience baking without a recipe than I would baking with a recipe. And the cookies weren’t a replication of someone else’s kitchen work, they were an expression of how I was feeling at a particular moment in time. Which is why baking by the seat of your pants is a totally worthwhile endeavor, no matter what the food pundits say.